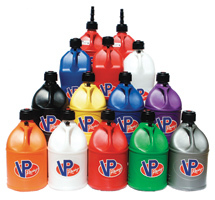 Our VP Racing Jugs generally ship out within 1 business day! 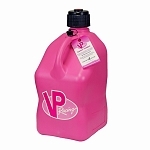 Q: how quickly will it empty 5 gallons of fuel? would you know if it is OSHA approved in a repair facility setting? how long is the fuel hose. A: I don't know how fast it will empty 5 gallons of liquid. I would guess 2 minutes. No, it's not OSHA approved. The fuel hose is roughly 10 inches long.